For others named Angelica, see Angelica. 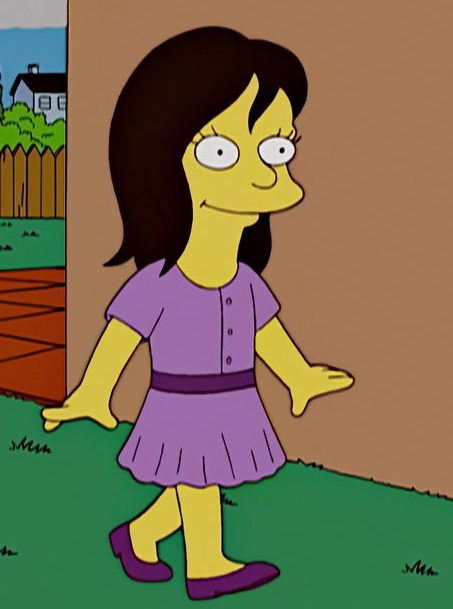 Angelica is a girl who Milhouse went out with while he was trying to teach Lisa how to speak Italian. After Lisa found out that Milhouse was dating Angelica, she became angry at him out of jealousy, because she also had feelings for him. Modified on September 14, 2016, at 12:18.